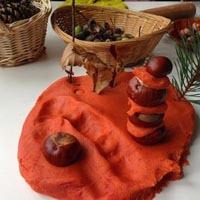 Fall and autumn leaves activities and crafts for preschool and kindergarten. It's fall! The days are shorter and the nights are cooler. The leaves are turning yellow, red, and orange, giving a colorful salute to summer. 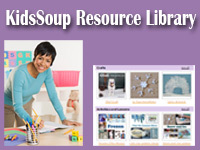 Welcome autumn into your classroom and celebrate the changing foliage with fall-themed teaching ideas and lessons. 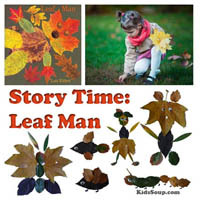 Preschoolers and kindergarteners alike will build literacy skills as they travel with Leaf Man (via Leaf Man by Lois Ehlert). 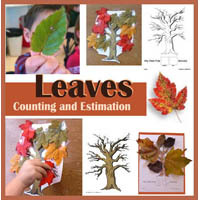 Our leaf-related activities, games, and crafts provide a bounty of opportunities for children to retell stories and rhymes, acquire new sight words, practice letter and color identification, connect counting to cardinality, and use their imaginations to create leaf people and animals using real fall leaves. It’s time to say “good-bye summer” and “hello fall”! 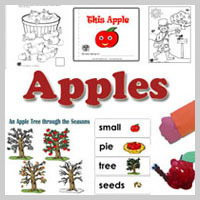 Literacy Activity "Why Do Leaves Change Color"
Free Preschool and Kindergarten Fall and Leaves Activities, Games, and Craft Ideas. During the fall and winter when there isn’t much sunlight, leaves stop making food. The chlorophyll that makes the green color breaks down, and the leaves begind to change colors such as to red, orange, yellow, and gold. As the leaf is changing colors, the stem is also changing and it detaches itself from the tree. 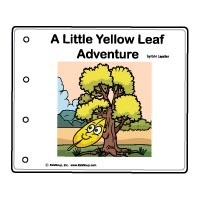 When the wind blows or if the stem is dry, the leaf falls to the ground. That’s why trees become bare in autumn. 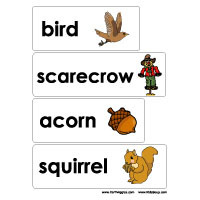 Trees that lose their leaves are called deciduous trees, for example, oak, maple, and birch. 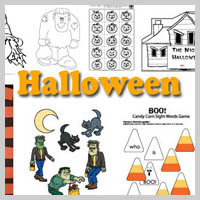 Trace and cut two leaf shapes out of red and orange colored craft paper for each child. 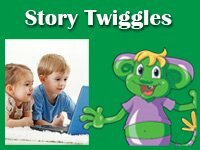 Hide the leaves in the classroom before or after class, or ask the children to cover their eyes while you place the leaves around the room. 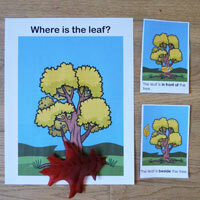 Play some music and instruct children to begin looking for the leaves. 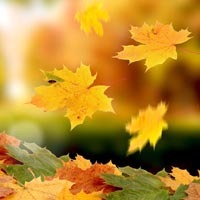 Once a child has found two leaves, he/she returns to his seat with the leaves. 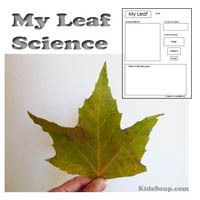 Use the leaves for the activity "The Leaves on the Ground." 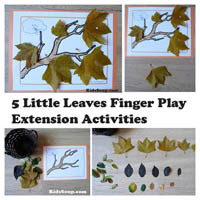 Extension: Let children write their name on the leaves, and then collect them with a basket. 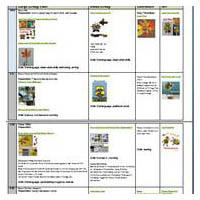 Place basket on a table with crayons and black markers (see Leaves Science Activity). Look at the veins of a fall leaf together. 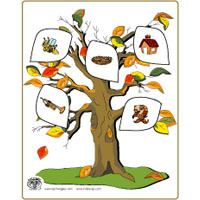 Explain to children that leaves make food for the plant. The blackish lines in the leaf are called veins. Veins help support the leaf, and are helping it to keep its shape. Veins also move the food within the leaf, just like the veins in our own bodies help move the blood. 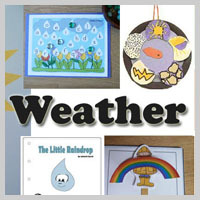 Let children use the black markers to draw veins to their leaf shapes. Cut out large leaf shapes from colored paper. 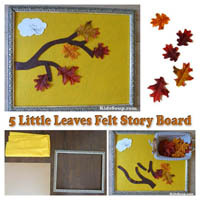 Place leaves on the floor and ask children to hop from one leaf to another. 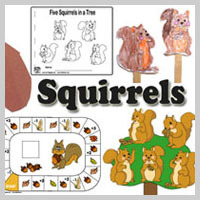 They also could be used at seat markers for circle time. 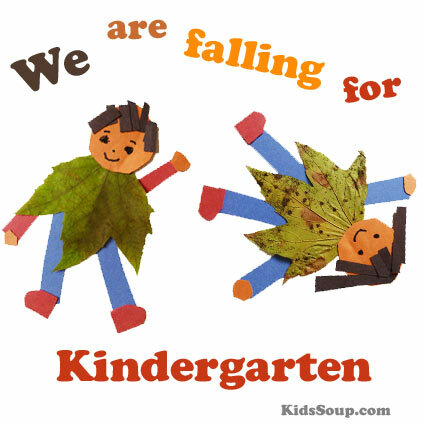 Variation: Place real leaves on the ground and have children hop, fly, jump, and run from one leaf to another. 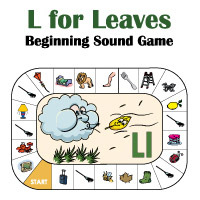 The leaves can be colored and displayed in the room after the games are over. 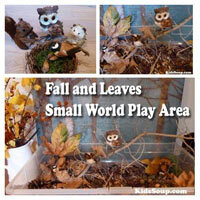 Place fall leaves inside a basket. How many leaves are in the basket? Let children write down a number. 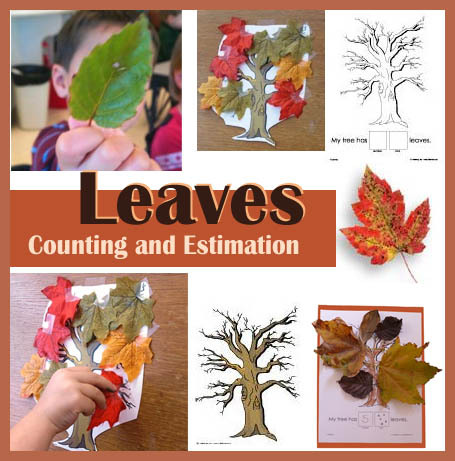 Then, count the leaves. 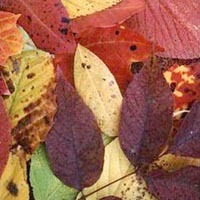 Place different amounts of red, yellow, orange, and brown leaves in a bag. Demonstrate to children how to reach inside the bag and grab one leaf, and then record it on the graph paper. 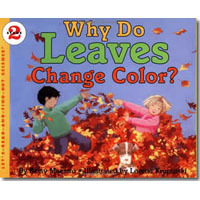 What color leaves do they have the most of? The least? 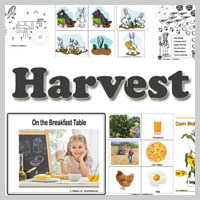 Draw leaf color patterns on sentence strips or use our printables. 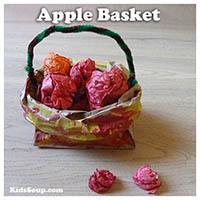 Place silk leaves inside a basket and let children duplicate and then extend the patterns with the leaves. 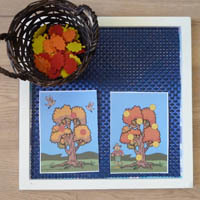 Make a Matching/Concentration Game by sticking fall leaf stickers on index cards. Let children find the matching pairs. Brush leaves on each side with vegetable oil. Place oiled leaves between layers of newspaper. Place a heavy object on the newspaper for about three days. 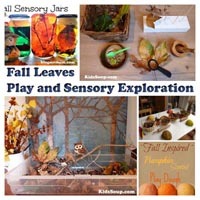 You will have beautifully preserved leaves for leaf rubbing! Go on a nature walk with children. Take along a bag to place leaves in. 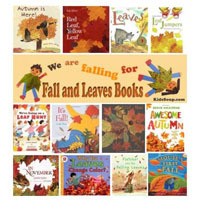 Pick up leaves of all sizes, shapes, and colors. 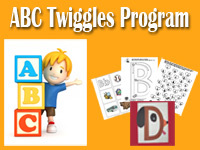 Have children examine them. Help them write down what they see or write a story about how the leaves fell to the ground. Collect leaves. 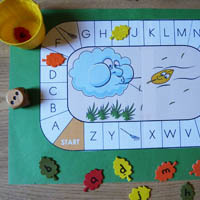 Pour leaves into empty water table or in a big bowl. 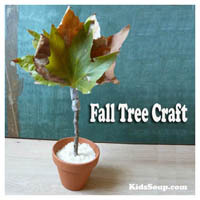 Allow children to scrunch up the leaves with their hands. 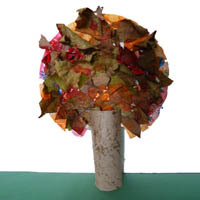 Children can also sprinkle the crunched leaves onto a paper leaf shape with glue to make a leaf mosaic.